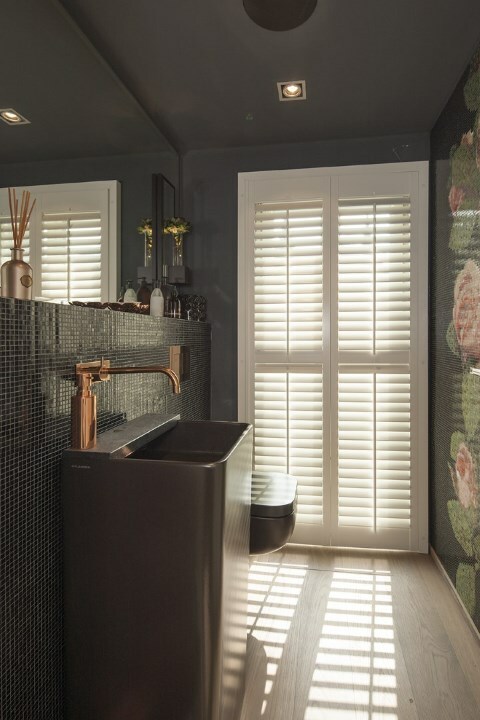 Shutters are an exceptionally functional, stylish and timeless form of window covering and the ideal form of sunblind that allows you to adjust light and privacy. You can tilt the louvers to any angle you require or fully fold open the panels. Control the sunlight as you wish. Available in Paulownia wood or in plastic, ideal for in the bathroom. Available with different louver sizes: S (63mm), M (76mm), L (89mm) and XL (114mm). Suitable for special window shapes. Choose either vertical operating rod or concealed operation. Available in a wide range of stylish paint and wood stain colours. Also available in RAL classic, F&B and NCS colours. And: the most outstanding characteristic of JASNO shutters does not even stand out! The counter-sunk hinges are not visible. Because they are concealed in the side stile of the shutter panel, they give our shutters a clean line, contemporary look and ensure an even better fit. Shutters have a price per square metre for straight panels. For a precise offer, simply visit one of our expert dealers. Our dealers always pay you a visit at home, to guarantee excellent advice and perfectly fitted window coverings. What types of shutters are there? 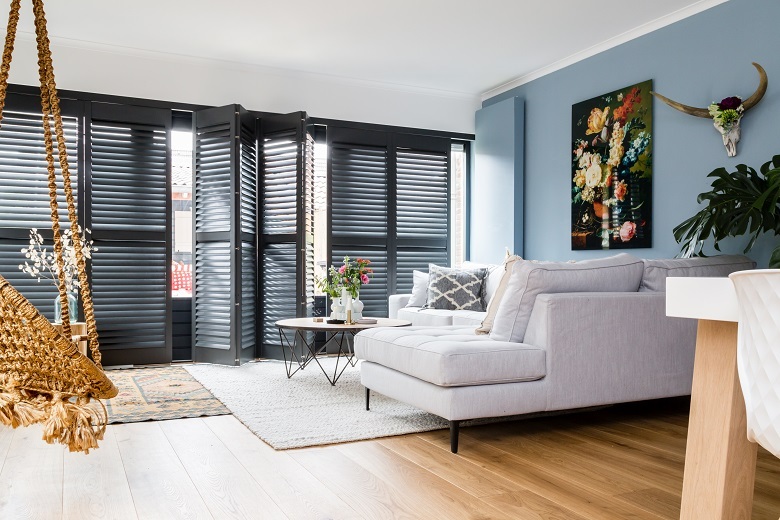 We offer 2 different types of shutters: Primewood shutters produced from Paulownia wood and splash-proof Aqualine shutters produced from plastic. Primewood shutters are manufactured from sustainably grown Paulownia wood, a light but solid wood type suitable for every window shape. The subtle grain structure of the Paulownia wood gives the shutters an exclusive look and feel. Suitable for straight windows and special shapes such as round, triangular or angled windows; tilt-and-turn windows and roof windows. 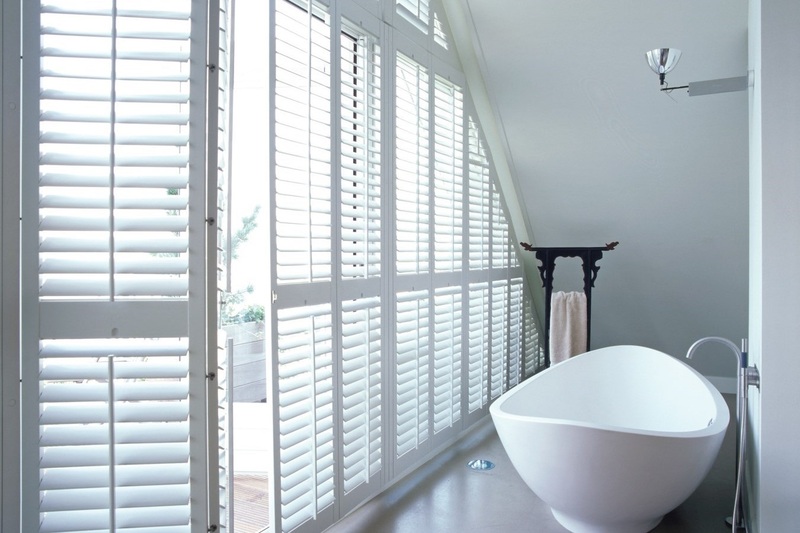 Splash-proof, the ultimate characteristic of Aqualine shutters, makes these the ideal window decoration for damp rooms such as the bathroom. 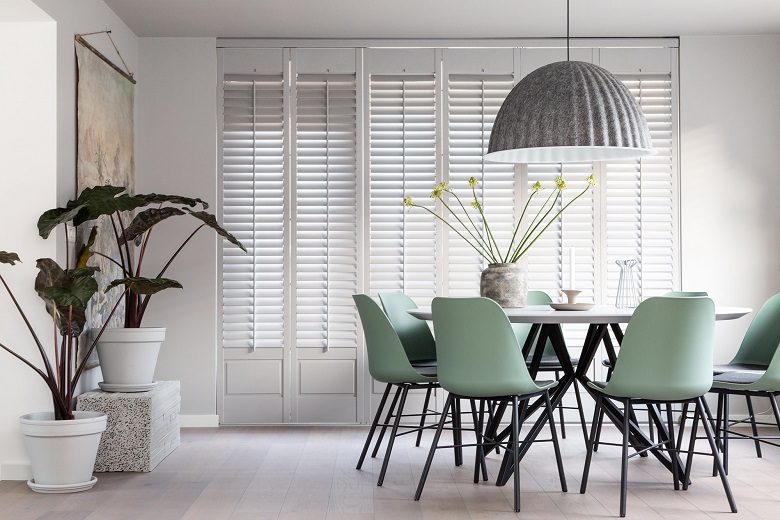 These shutters are produced entirely from high-quality plastic. The plastic shutters are suitable for all special window shapes, with the exception of round windows. 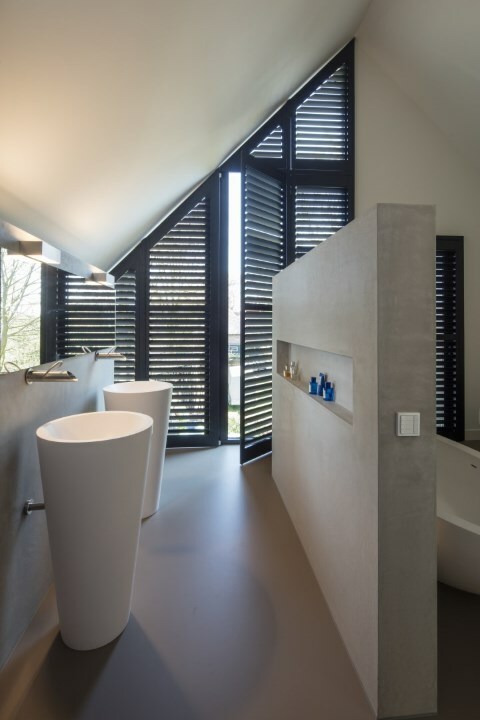 Thanks to the material, Aqualine shutters are the perfect solution for windows in damp rooms such as bathrooms, swimming pools, wellness rooms and kitchens. How do you operate your shutters? Vertical tilt rod on the front of the louvers. Silent view: here there is no vertical tilt rod. The operating mechanism is concealed invisibly in the stile, so that you can set the louvers at any angle, by hand. Do you want more options for playing with light? Thanks to the horizontal divider rail, you can operate the louvers in the top and bottom panels independently. This rail is essential in panels higher than 190 cm. How do you wish to open or close the shutter panels? Hinged panels that each fold back to one side. Hinged panels that fold back to one side. Bifold track system: folding panels that fold over a track system. 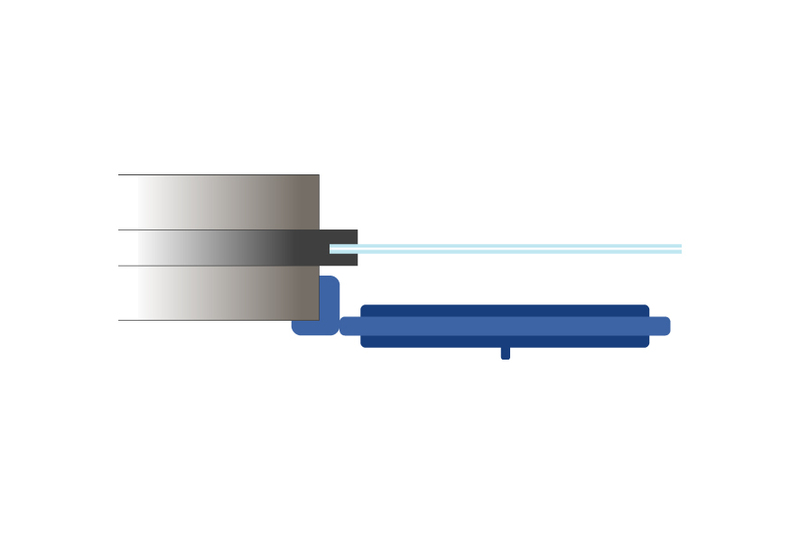 Ideal for light-weight operation for high and wide shutters. Remove the panel by hand (the panel is then not hinged and can be removed from the window in its entirety, for example to clean the windows). 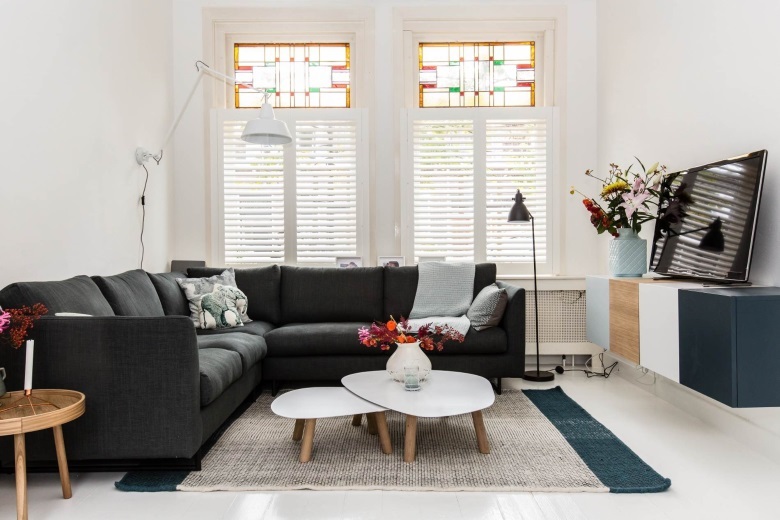 Are you looking for shutters for a bathroom windom, roof window, angled or round window, tilt-and-turn window Our atmosphere enhancing windows shutters are always a perfect fit from a small triangular window in the attic to a bay window or wide sliding window in the living room. Tailor-made window decoration is standard at JASNO. There are various options for fitting the shutters. 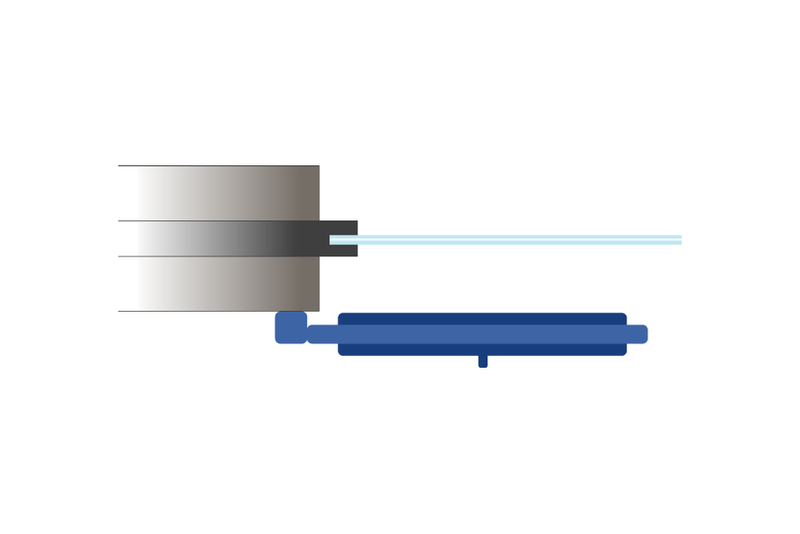 Which option you choose will depend on the space available: in the frame opening, whether the frame is straight and on the way the window or door opens. A JASNO dealer will be happy to advise you on the best fitting method for your home. 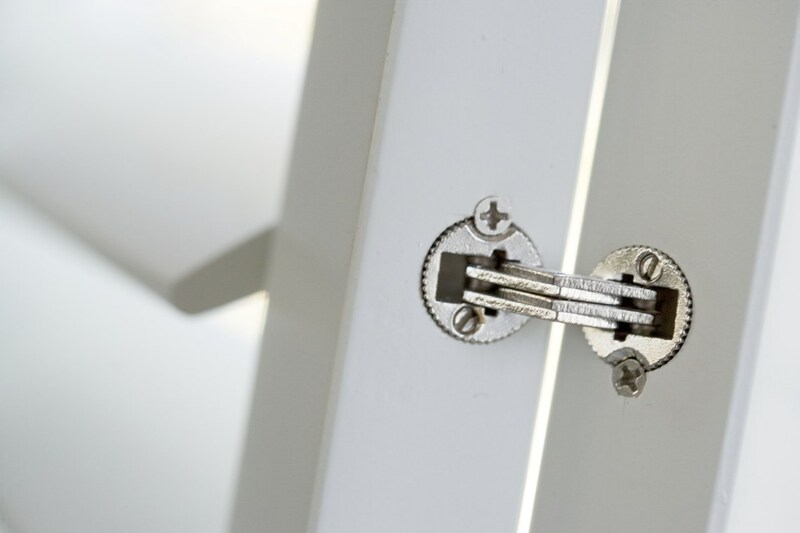 On the frame: in this fitting method, the shutter is mounted directly on the window frame. Inside the wall opening: the mounting strip is attached to the inside wall. The shutter can be fitted on the window sill close to the window or set further forward (for example for tilt-and-turn windows). 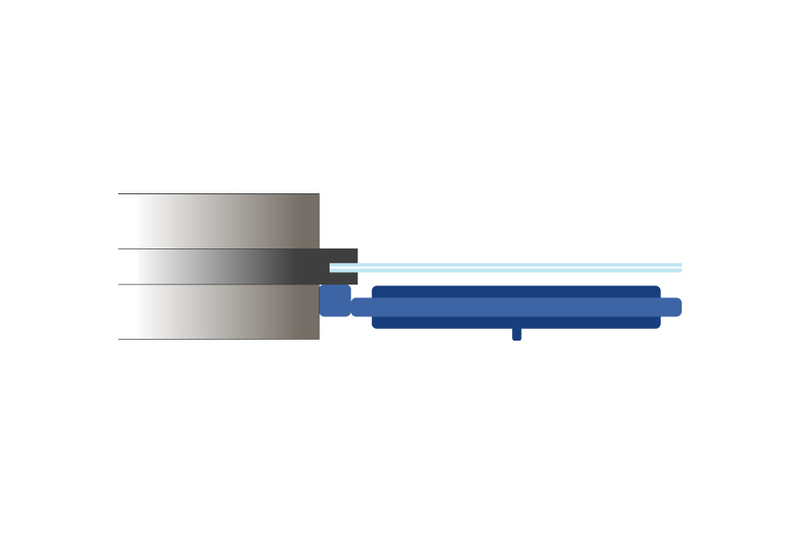 With an R-frame: fitting inside the wall opening with an R-frame is ideal for a perfect fit even if the window opening is not completely straight. On the wall: if fitting within the window opening is not possible, the shutters can be mounted on the wall. This fitting method still guarantees a very attractive end result. Using our app, you can visualise how shutters and wooden blinds would look in your windows. Opting for JASNO means choosing sustainability, service and quality. 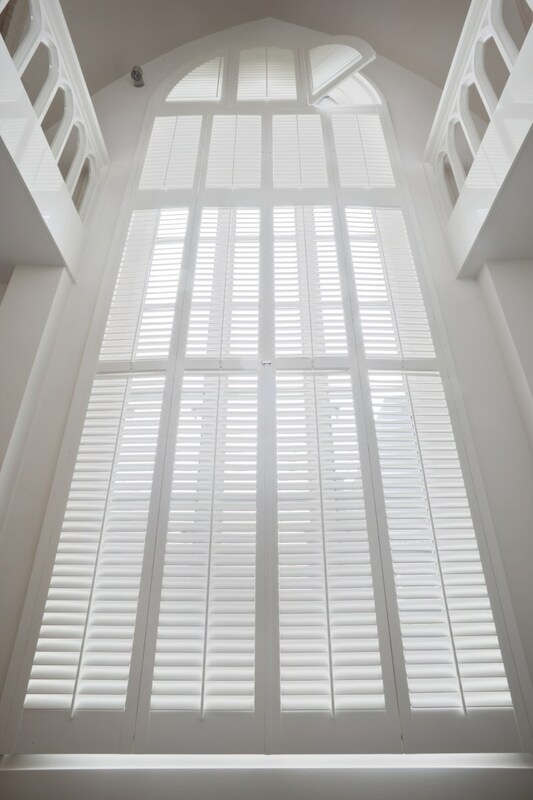 With our shutters the quality is often concealed within. Take for example the flush-mounted hinges, or the astragal stile. 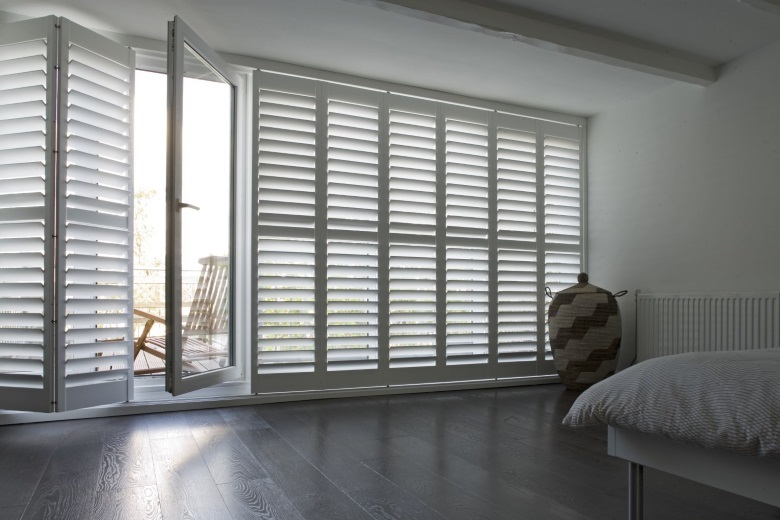 These invisible qualities are what make our shutters so outstandingly attractive and extremely strong! 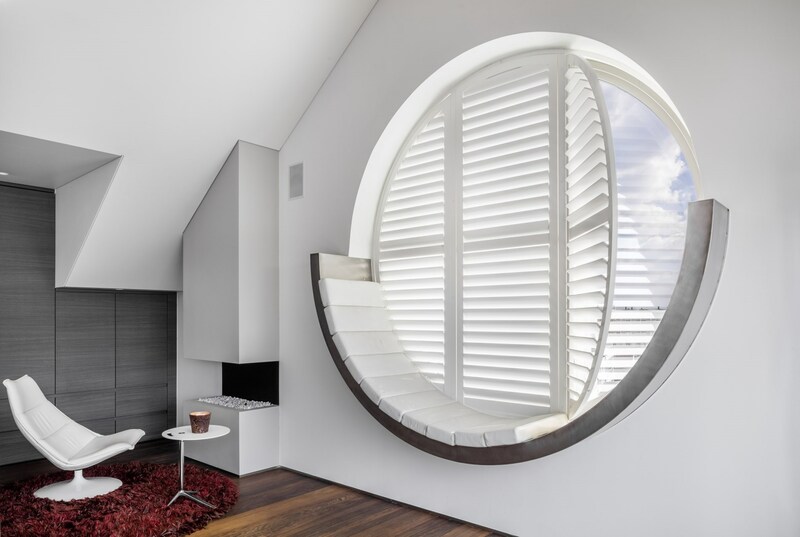 For these reasons, many interior stylists and home design magazines onze shutters. select our shutters. Our shutters are now common features in many homes, from terraced cottages through to villas. 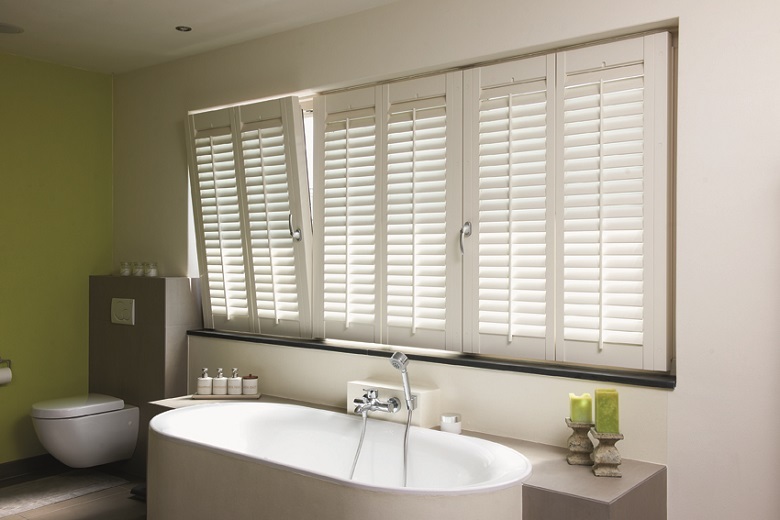 Our shutters are intended for use indoors, and are suitable for any window. Importantly, this form of window decoration that is very easy to clean.